Dogs can also be susceptible to arthritis, joint strains, ligament problems and fractures. Puppies can suffer from over-boisterous playing before their bones have properly formed and dogs that participate in particularly strenuous activities such as agility or CaniCross can suffer joint and tendon strains. Existing injuries and old age can lead to joint degeneration and arthritis. And of course, some breeds of dogs are particularly prone to spinal degeneration and disc problems. How can dogs be treated? 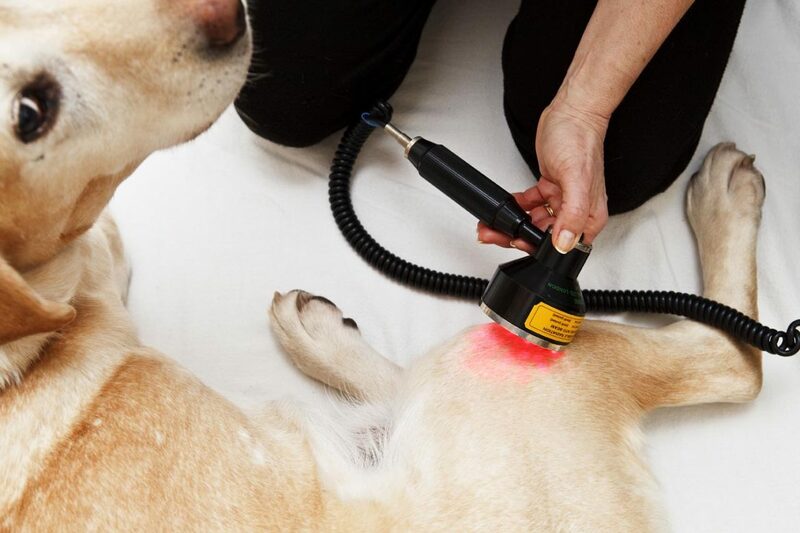 We can use gentle manipulation and Low-Level Laser Therapy to help repair injuries and ease pain. LLLT accelerates healing in all types of tissue, so it’s effective for cuts and skin traumas too. Call us and we may be able to recommend a treatment that can help. We’ll need a written referral from your vet before we see your dog.